Our office at Kampen park has been shortlisted for the Norwegian Lighting Award in the category for best interior. The lighting concept is developed by Arve Olsen at Light Bureau, while the lighting fixtures are designed by us and produced by artist Aleksander Jæger. The award ceremony is scheduled for November 2nd. We have filed for a building permit for our housing project at Engene Park in the heart of Drammen, and the project will be discussed in the Presidency of the Municipality on October 23. The main objective of our work has been to create a sustainable urban housing project with a wide range of green and natural qualities. Our single family house in Blåbærstien is nearing completion after a complex yet very inspiring process. We started working on the project back in 2015, and it has been a pleasure to follow the build. The customers themselves have had the role of construction managers, and they have handled the task in impressive manner. More information will follow upon completion. One of our concepts developed for Kniveåsen has been picked out of the drawer after revived interest from a potential client. The project consists of three connected boxes with a different orientation, where one contains main living areas, the other bed- and bathrooms, and the third a staircase connecting all levels. We are happy to announce that Andreas Juul Bergene will work at our office for a year as a trainee - starting in august. Andreas is a talented architecture student who takes his education at Oslo School of Architecture and Design. He is currently in Finland on an exchange program, where he among other things are working on housing projects. We look forward to seeing him here at the end of the summer vacation! Our cabin in Ryfylke is featured in Dachraüme, a special edition book on attics - from German architecture magazine DETAIL. Thanks to author Ulrike Wietzorrek for a good cooperation and for including the project. The book can be purchased from the DETAIL Online Shop. Our recently refurbished office space is presented in the 61th edition of NYTT ROM - New Scandinavian Rooms. The magazine is characterized by a sober approach to design and architecture, and feature interesting and articles from all of the scandinavian countries. A big thank you to Hans Petter and Kristine for presenting us and our work. Nicca Gade Christensen has become a part of the firm, and we are changing our name - from Resell Arkitektur to Resell+Nicca. Nicca has many years of experience from working with complex architectural tasks, and she will play an important part in the firm on a strategic level. Nicca will continue to work at ØKAW Arkitekter on a daily basis. 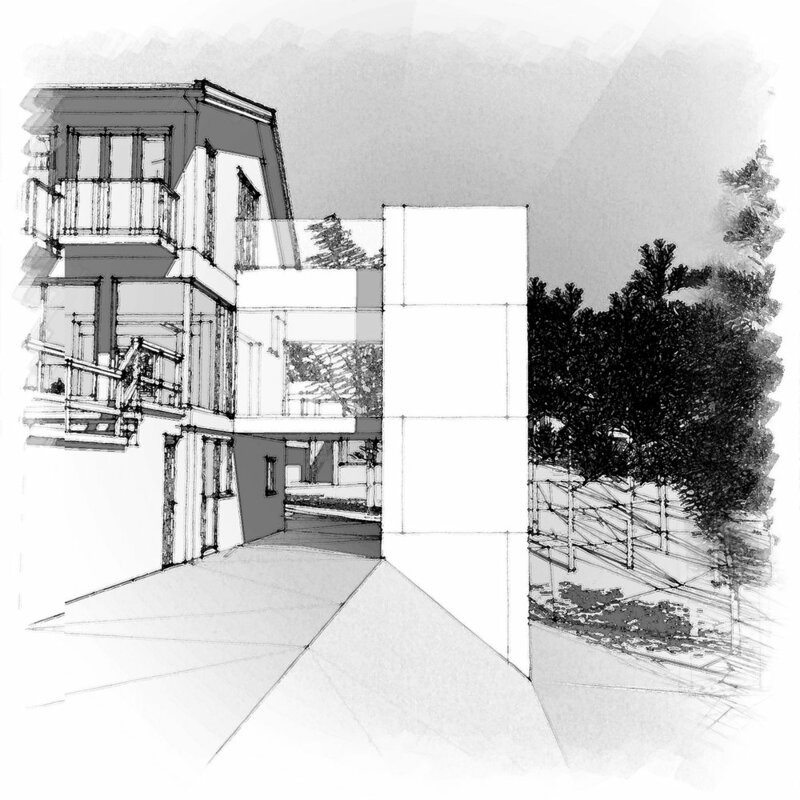 We have just finished some preliminary sketches for our ongoing housing project in Drammen. The program is divided into two separate volumes, with 3 three-story apartments in each. Every apartment will have a balcony, a garden plot, and views towards a park and the fjord. We are aiming for low carbon emissions, and are intending to use massive wood elements in walls, slabs and roofs. Resell+Nicca have been invited by Bonum to develop a housing concept for a very interesting site in central Drammen. The site has great views over the fjord and a nearby park, and Bragernes Torg and the river park is just a few minutes walk away. 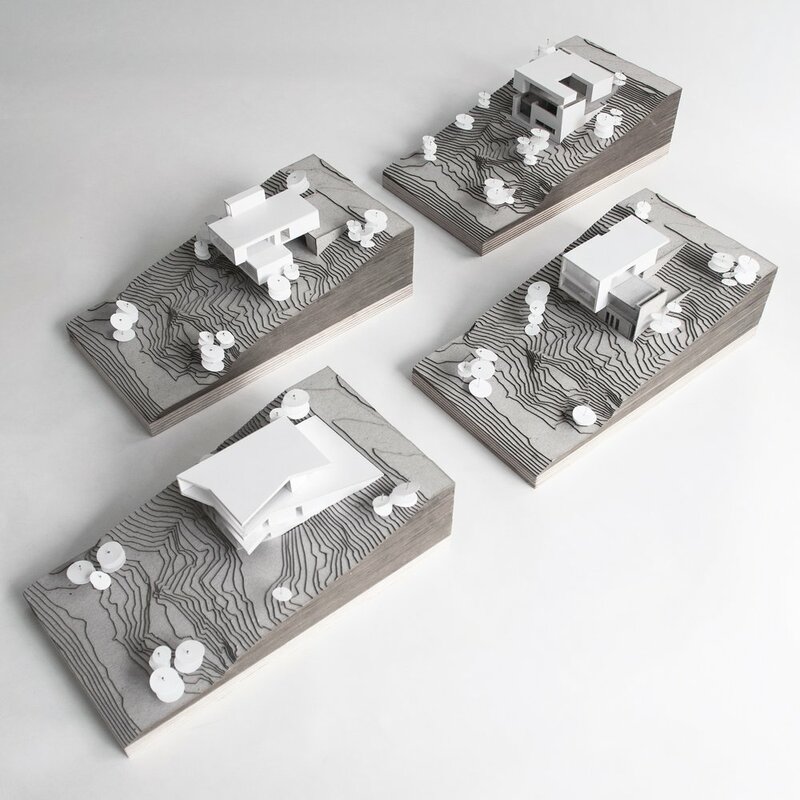 Six units of approximately 125 square meters will be developed to attract young people with children who want a residence with both rural and urban qualities. 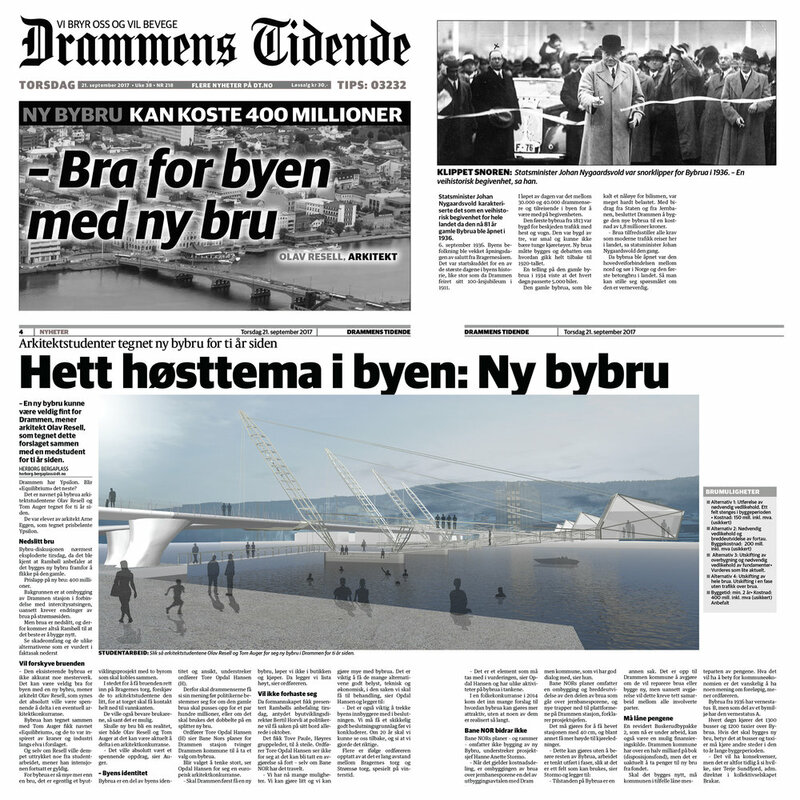 A competition is currently being planned for a new bridge between Strømsø and Bragernes Torg in Drammen. Olav drew a new bridge on this location as a student back in 2007 (in collaboration with architect Tom Auger from Rever Drage), and this project has now been brought back into the light. In Drammens Tidende on September 21. Olav argues that a new bridge could revitalize the squares on both sides, and give the public better access to the river. 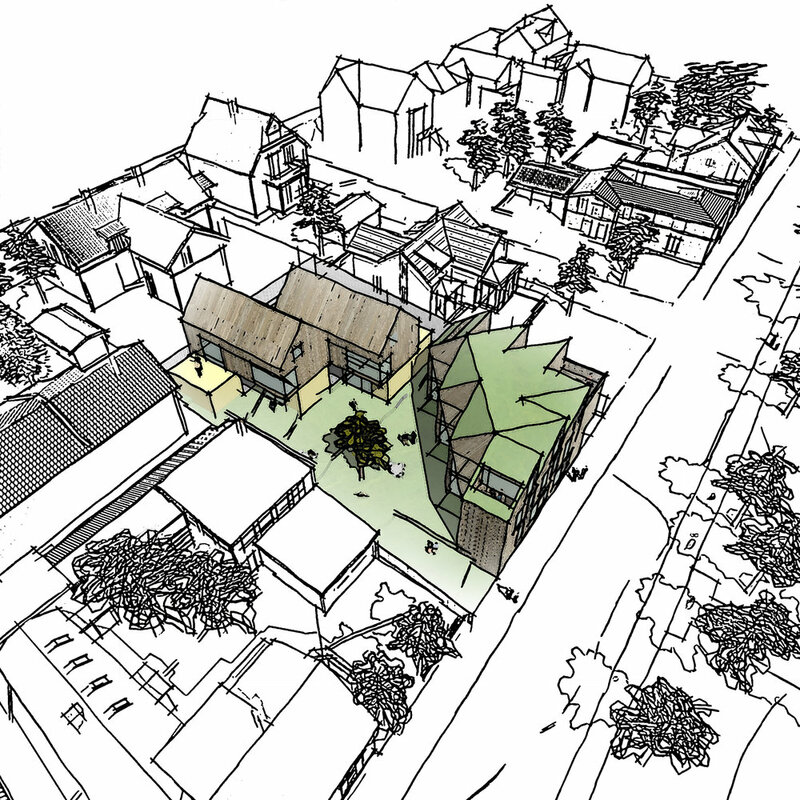 We have just filed for a building permit for an addition to a semi-detached house in Bærum. The addition spans over three stories and contains (top to bottom) a roof terrace with views over Oslofjorden, a new dining hall, a new entrance hall, a carport, and a flat that can be rented out. The flat occupies space underneath the carport, and will have direct access to the lower part of the garden. The addition will be cast in concrete, and we are hoping to start construction in March ´18. Construction of our single family house in Blåbærstien near Saltnes is starting up at the end of the month, and we are looking forward to cooperating with the skilled carpenters and furniture makers who have been chosen for the project. The house is open to the west, providing great views towards Oslofjorden, with the main living areas located on different levels. We are currently working on a single family house on Kniveåsen in Drammen, testing out different concepts and organizational strategies. 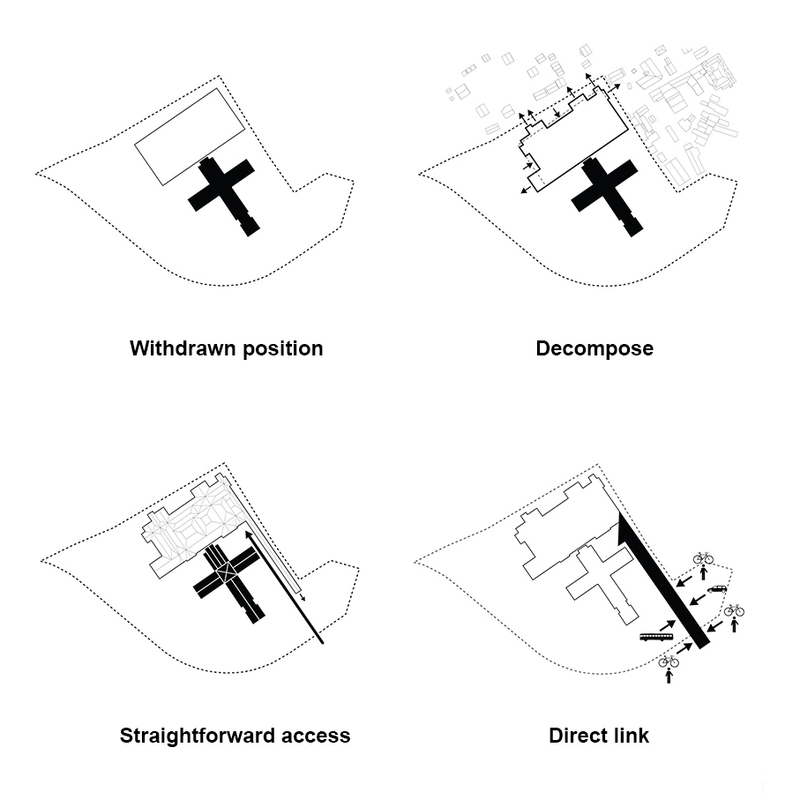 The site has a significant difference in height, and sun and views on different sides - features that we believe offers friction and lays the foundation for a responsive architecture. Cabin Ryfylke is featured in Obstanovka - a reputable Belarusian magazine, focusing on architecture, landscape architecture and interior design. The magazine will bring the project to a large russian speaking audience in Belarus, Ukraine and Russia. We are happy that our work is made available to readers in the eastern part of Europe, and hope to be commisioned for a project over there at som point in the future. Our housing projects in Kniveåsen was featured in the Drammens Tidende in January, with the sites being described as the best in Drammen. Potential clients have shown great interest in the projects, and we´re expecting to go forward with further development of both Villa Falkeblikk and Villa Vidsyn during the spring. 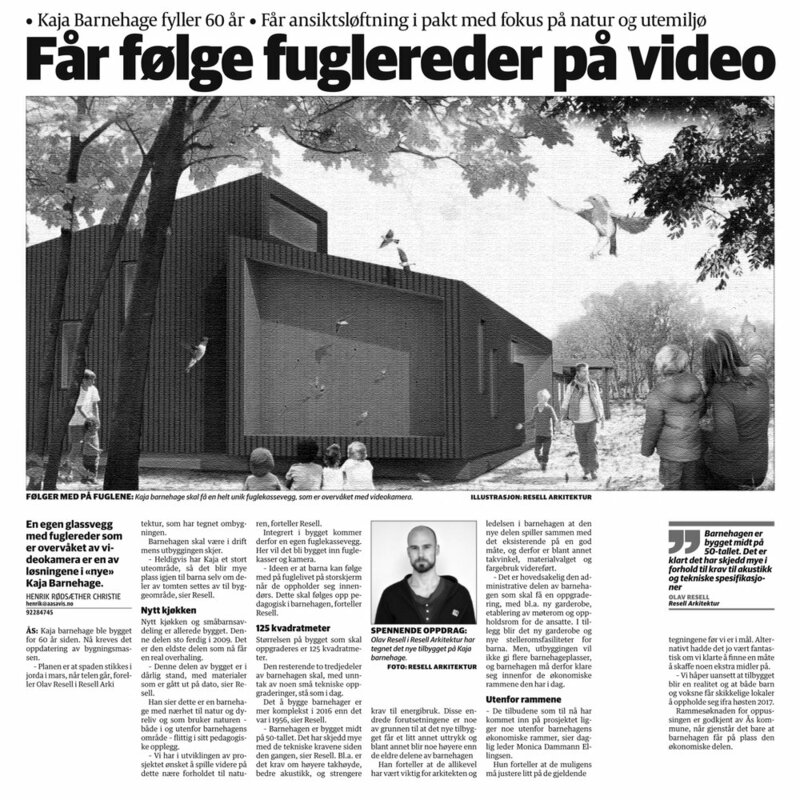 Our addition to Kaja kindergarten is featured in this weeks edition of Ås Avis. The kindergarten is currently celebrating a 60 year anniversary, and our hope is that the project will be finished in time for next years nursery admission. 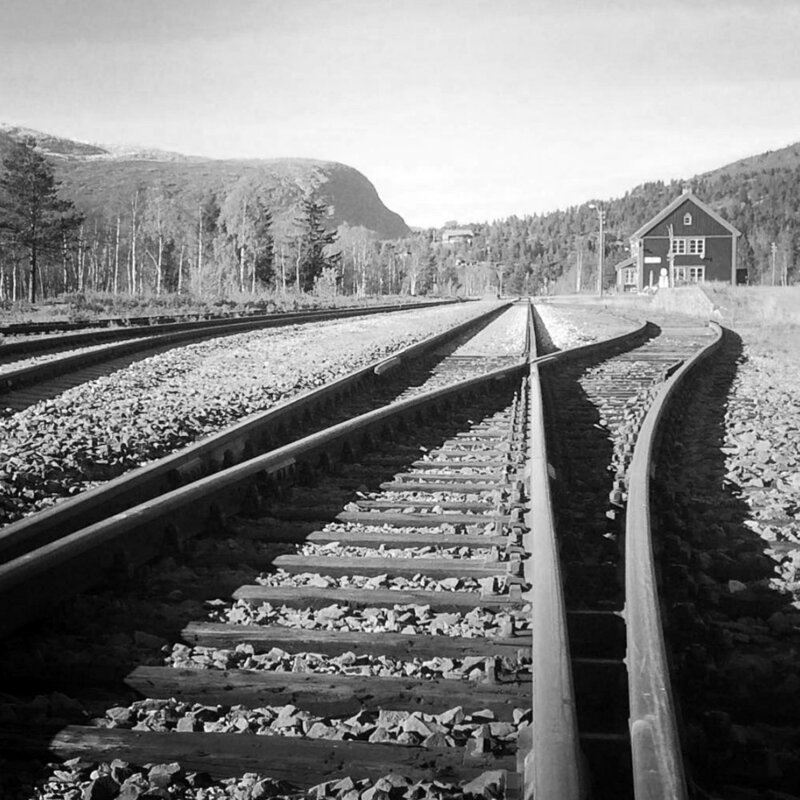 Resell+Nicca, in collaboration with Arkitekt Atle Leira, has been prequalified by Jernbaneverket for the development of the train station at Bjorli. The station is an important hub on Raumabanen, a railroad famous for its vast nature, bold bridges and historical station buildings. The other prequalified firms are Rambøll and Rodeo Arkitekter. Our proposal "På Kryss og Tvers" has been awarded an Honorable Mention and 60 000 NOK following the competition for the new Viking Age Museum at Bygdøy! We are currently working on a single family house in Saltnes. The house will be situated on sloping terrain, with the main functions organized at different levels in one large, open space. Living room, kitchen and dining area will have direct access to corresponding levels on the terrain outside of the building. The site has many large pine trees, and great views over the outer Oslofjord.